Whether you’re moving from New Jersey to the Netherlands to enjoy the freedom of Amsterdam or marvel at the intricate architecture of Rotterdam, hiring professional movers will make your life much easier. Since 1977, our BBB-accredited business has been providing households and businesses of North Jersey with top-notch relocations to the Netherlands. 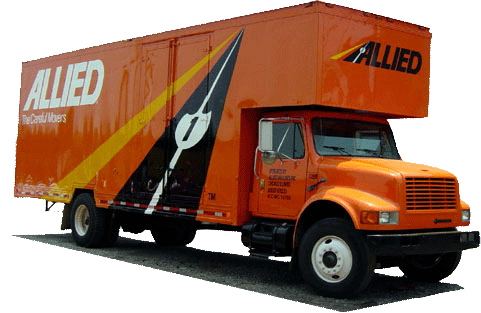 Because our partnership with Allied Van Lines makes us part of a worldwide network of moving and storage professionals, we’re able to handle the largest relocations to any location across the globe. Regardless of how complex your needs are, let our international movers provide you with the stress-free move you desire. If you need short-and-long-term storage services for your move from NJ to the Netherlands, we’ve got you covered. Our spacious, climate-controlled warehouse has enough room to store your items for any period of time and keep them safe from extreme weather conditions. Additionally, this facility is secure and is equipped with fire-prevention technologies, so rest easy knowing your items are safe. When it’s time for you to receive your valuables, we’ll have them kept in containers designed for international shipping so they’ll be ready to go. Simonik Moving & Storage proudly serves counties throughout North Jersey, including Hunterdon, Mercer, Middlesex, Monmouth, Morris and Somerset. Our excellent performance over the years has earned us the Mover of the Year award from the New Jersey Warehousemen and Movers Association and a Registered International Mover designation. Additionally, our dedication to excellence has made us a ProMover member of the American Moving and Storage Association, so we’re overly qualified to handle your move from New Jersey to the Netherlands. Your move from New Jersey to the Netherlands should be entirely stress free. Make it happen by contacting Simonik Moving & Storage and inquiring about our international relocation services. Call us or fill out our online form to receive your free quote today!